Welcome to the Tucson AZ Central Area November 2016 Home Sales Report for Single Family Residence (SFR). Tucson Arizona offers an incredible array of things to do. Great restaurants create exceptional dining experiences. Annual events include the Gem & Mineral Show and Tucson Rodeo. The Gem & Mineral show is the largest of its kind in the world. The weather in Tucson AZ means outdoor activities can take place the year around. Golf, hiking, and cycling can be enjoyed throughout the year. Yes, it is warm in the summer, but you don’t have to shovel sunshine! Play The Tucson AZ Central Area November 2016 Home Sales Report Video – NOW! Tucson AZ is one of the oldest inhabited areas in North America. Hohokam Indians lived on the land 4,000 years before Spanish missionaries arrived. For history buffs, the Spanish came in the late 1600s. Tucson AZ sits in a Sonora Desert valley and surrounded by five mountain ranges. The City of Tucson covers almost 600 square miles within its boundaries. Its size offers residents an array of natural landscapes, desert vistas, and mountain views. 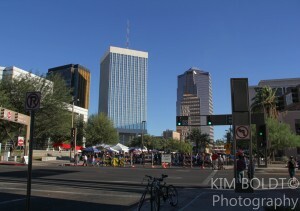 Tucson AZ Central area is a great place for “Downtown” living. Homes is the Tucson AZ Central area are close to the University of Arizona and its activities. Many of Tucson’s historic homes are in the Central area. Single family homes, condos, townhouses and lofts offer living choices in Tucson’s central area. Our Tucson AZ central home sale report is one of our nine monthly reports on popular communities, horse properties, and Tucson million dollar homes. Furthermore, if you are looking for a home in Central Tucson AZ, we can help.